Good morning everyone, if you’ve been following me on Instagram I’m currently back in Los Angeles styling a commercial shoot! However, that has not stopped me from sharing this overdue post dedicated to my love for subscription boxes. Why? 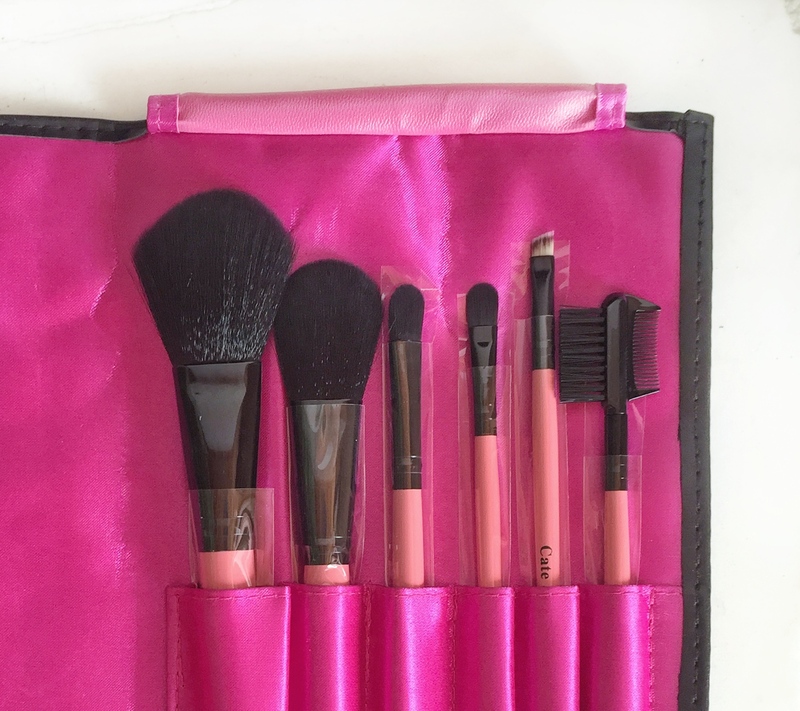 Because getting a box full of little surprises in the mail every month is more exciting than opening regular mail :D There’s Birchbox for the beauty and grooming gurus, Rocksbox for jewelry, Loot Crate for comic geeks, and then there is Cate & Chloe. 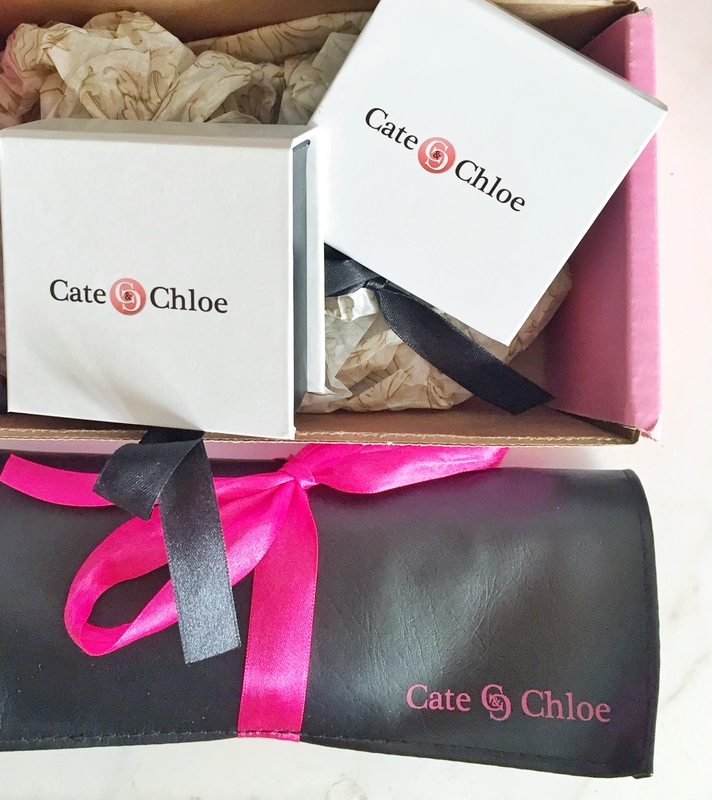 Cate & Chloe is a little different in the accessories game, because now you get to customize your own box. Everyone’s style and taste is different, so why should you receive the exact same box as someone else? Like good surprises? Pick your plan at Cate & Chloe.com, select your style, and lastly sit back and let their team build your box for you. You’ll receive your box in the mail and I’m sure you’ll be excited to open it! As a thank you to my readers, I give you my special promo code SHOESANDSASHIMI25 for 25% off when you sign up, valid until November 30th. And finally, for the month of October, 15% of all proceeds will be donated to the American Breast Cancer Society! Packaging is key, love their boxes. 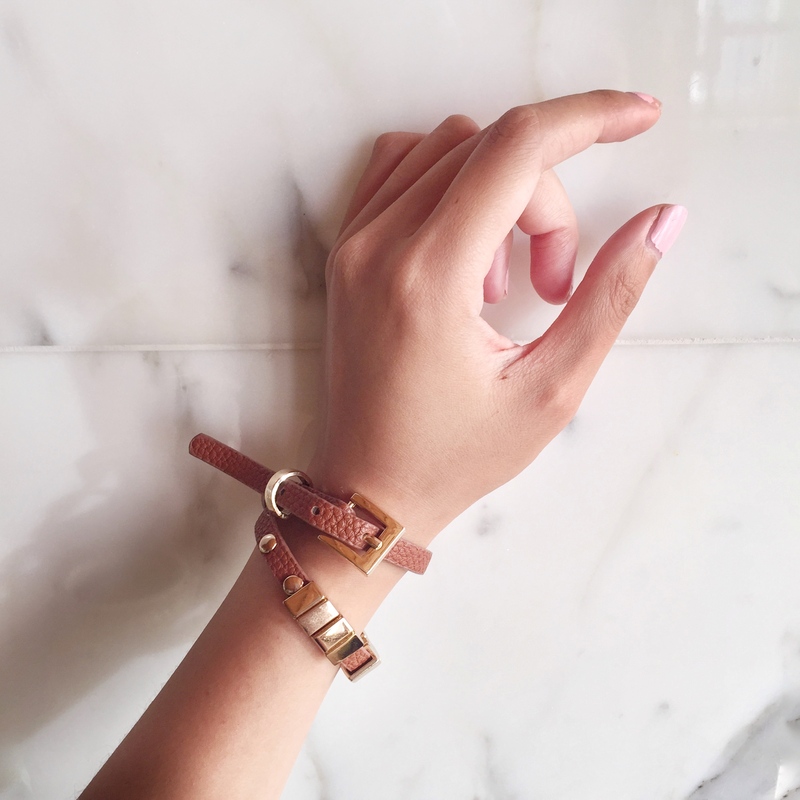 Surprise 1: Wrap bracelet with a buckle and gold accents. 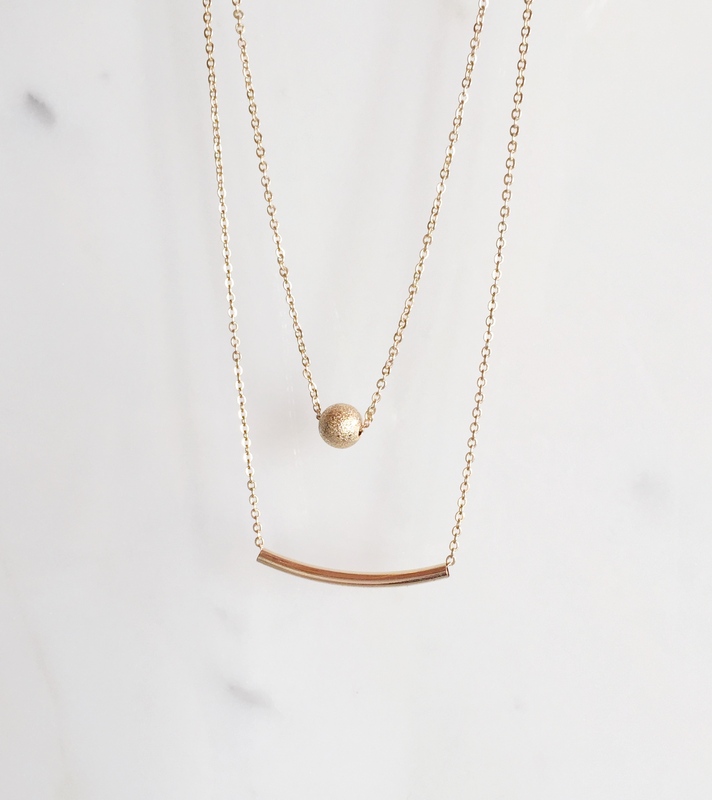 Surprise 2: a dainty layer necklace. 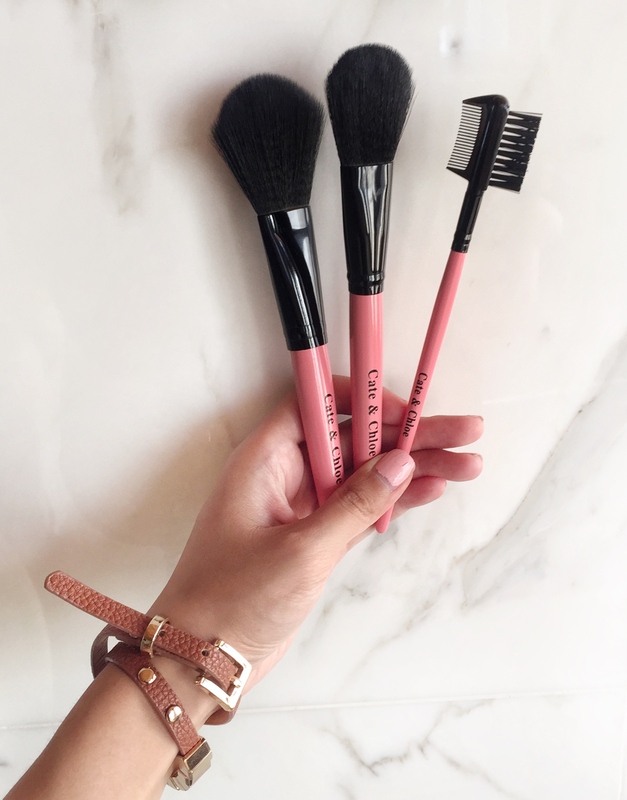 I tend to use these the most, especially the brow comb. I also love boxes with surprises in them! That necklace is beautiful! i love getting surprises in the mail too! this one looks very fun and interesting. enjoy your time in LA gorgeous girl! That wrap bracelet is so darling! Need it in my life! Wow! I too love surprises!! Love that wrap bracelet! !